A humidifier is a device that's used to keep the atmosphere of a room moist. You may have seen the terms "cool-mist humidifier" and "warm-mist humidifier" and wondered what that actually means. A cool-mist humidifier creates moisture in the air by blowing air over a rotating disc that is submerged in water or a cool-wick filter. In contrast, a warm-mist humidifier involves heating water till it turns to steam and moistens the air. A vaporizer is really just a type of warm-mist humidifier that creates moisture by boiling water until it turns into steam. Vaporizers are also used to extract the essence of plants and herbs for inhalation, particularly for medical purposes. 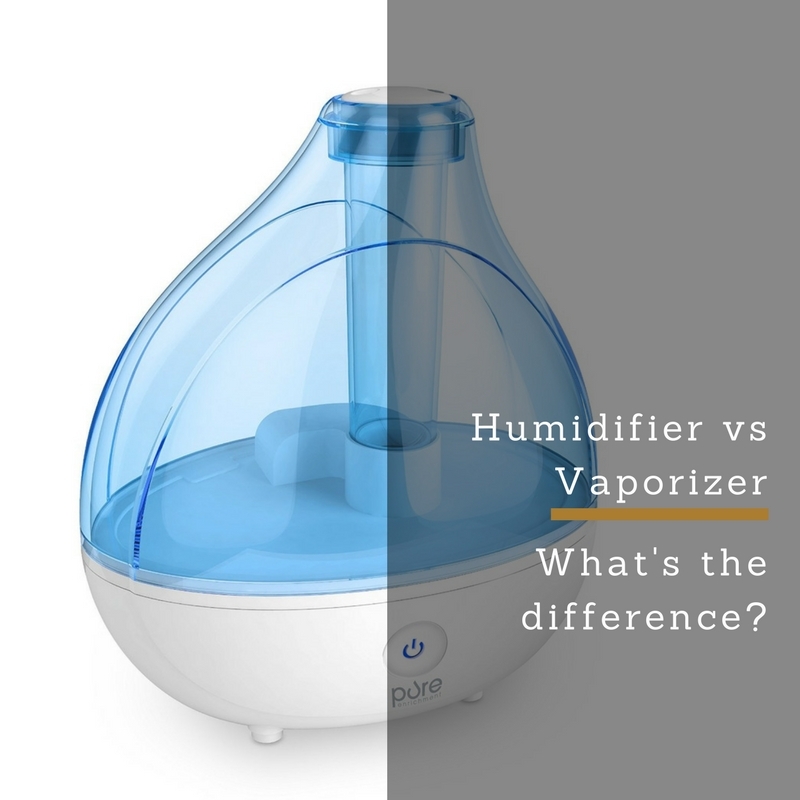 Before I touch on whether a humidifier or vaporizer is better for you, i thought it would be good to explain what are some of the benefits you'll see by increasing the moisture in the air. The recommended humidity for a home is in the 50% range and the best way to measure humidity is by using a hygrometer if you're not sure. Both humidifiers and vaporizers help to keep your skin moist and prevent dry skin and lips. Increasing the humidity in the air helps to relieve sinusitis and can prevent infants and young children from developing breathing problems due to the dry air. By keeping the air pipes moistened and lubricated, humidifiers and vaporizers also help to prevent snoring and nosebleeds. Before you buy your humidifier or vaporizer, you should be aware of some of the downsides of using a vaporizer or humidifier. The main drawback is that humidifiers and vaporizers can be breeding grounds for bacteria, mold and fungi. especially when the humidity is above 60%. The important thing to remember when using either a humidifier or vaporizer is to keep them very clean. You should clean your humidifier / vaporizer every day because bacteria grows wherever there is water. Make sure you drain the humidifier or vaporizer and clean it thoroughly. If you don't, bacteria can accumulate and get vaporized into the air, which may result in a lung infection. There are a few special considerations to make when you decide whether to buy a humidifier or a vaporizer. 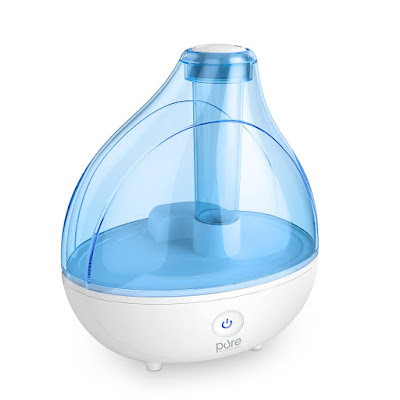 If you have a young child or baby get a cool-mist humidifier. 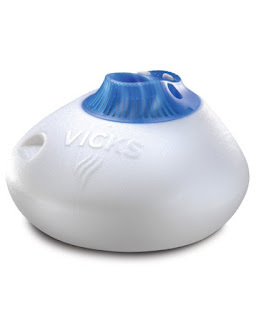 Vaporizers / warm-mist humidifiers are dangerous when you have children running around because they could knock the boiling water over and burn themselves. The hot steam is also a hazard if they get too close. If you don't want to clean the humidifier / vaporizer every day, choose a warm-mist humidifier or vaporizer. Vaporizers boil the water in the reservoir before blowing them out, killing the bacteria present. While not ideal, it's definitely better than nothing. As an additional precaution, look out for “germ-free” warm-mist humidifiers. The germ-free usually refers to either ultraviolet light or nano-silver particles that kills bacteria, germs and fungi in the water reservoir before it gets vaporized. The temperature of the room and house matters. 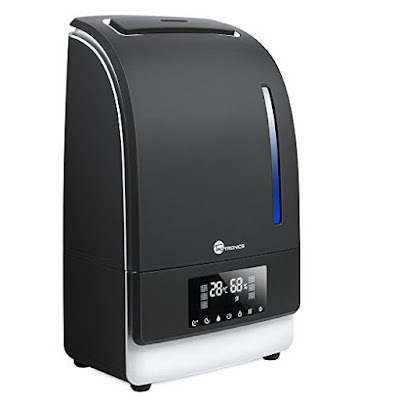 A cool-mist humidifier will humidify the room and won't affect the temperature, while a warm-mist humidifier/ vaporizer will not only humidify the room but also warm it. 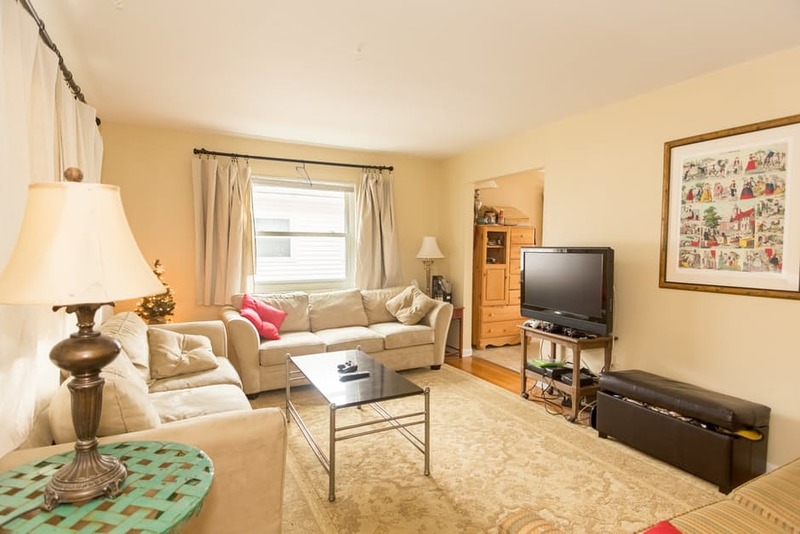 Increasing the temperature and humidity of the room can make one feel stuffy or swampy. Not a pleasant feeling. I hope this article has helped you to better understand the differences between a cool-mist humidifier and a warm-mist humidifier / vaporizer as well as some of the important considerations when choosing between the two. If you're looking for a good cool-mist humidifier or warm-mist humidifier, a good place to start would be Amazon's best-selling humidifiers page. It's hard to go wrong if you pick any of the top ten.